The United Kingdom and now Russia have suspended flights over the Sinai Peninsula due to safety concerns following the crash of a Russian passenger plane in Egypt that killed 224 people last Saturday. American airlines do not fly over the Sinai Peninsula. Flightradar24 is a flight tracking service that shows real-time location information about thousands of aircraft around the world. 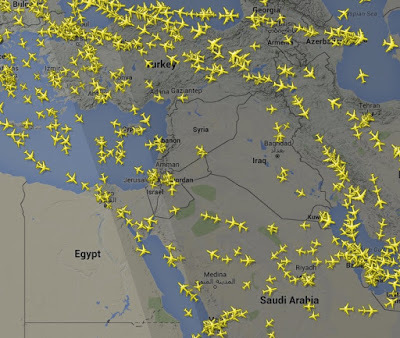 A screenshot (above, click to enlarge) of flights occurring this morning reveals how aircraft are avoiding most of the Sinai Peninsula in Egypt. 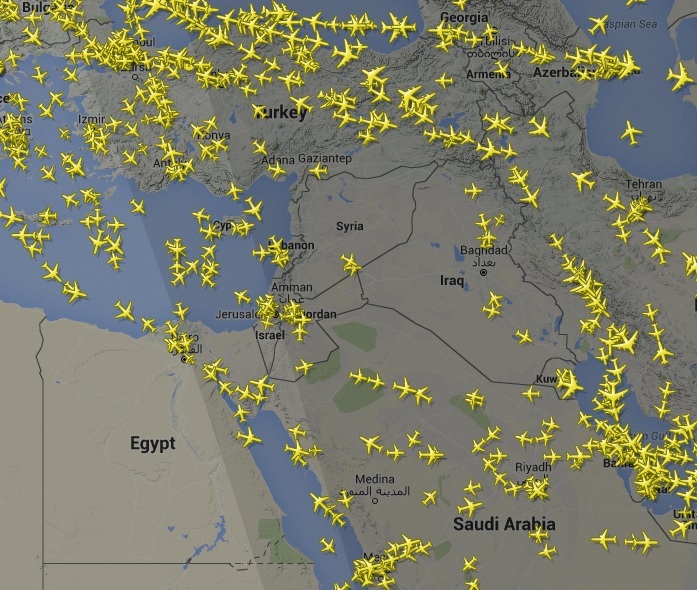 (Flights are also avoiding the conflict zones in Syria, Iraq, and the Ukraine).